Often, the best Indian food is not found in Vancouver itself. 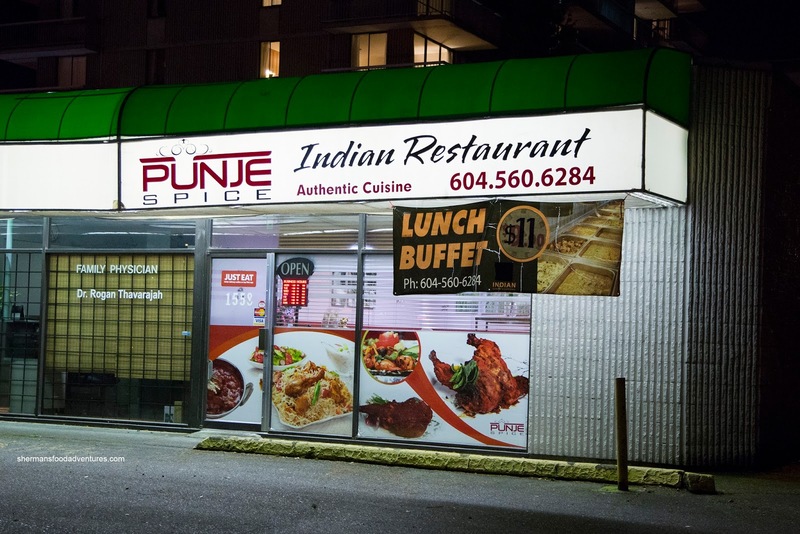 For those in the know, Surrey is the best place to find authentic Indian food (whether it be Northern or Southern) at a reasonable price. 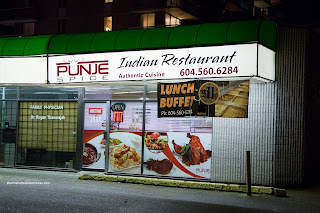 With that being said, White Rock (which is a part of Surrey despite what people want you to think) is generally not seen as a hotbed for Indian food. Actually White Rock is not seen as a destination for food in general unless you want to head onto Marine Drive for a view. However, another Groupon brought Viv and I out to Punje Spice to meet up with Nikita, Bluebeard, Lovebug and Lana Banana. 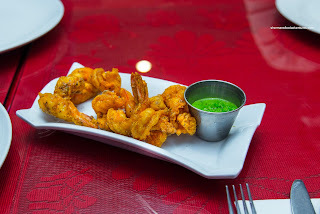 As part of the deal, we had a choice of 2 appies where we selected the Prawn Pakora and the Chili Chicken with gravy. Buttery with a cold-water crunch, the prawns were ever-so-lightly battered. Hence, the exterior was only marginally crispy while well-spiced. As for the chicken, it was tender and moist while bathed in a sweet, slightly spicy and tangy sauce. The tamarind really came through as the there was nice sharp tang at the end. This would've been really good with plain rice. So much so, Bluebeard ended up saving the sauce until we got rice! 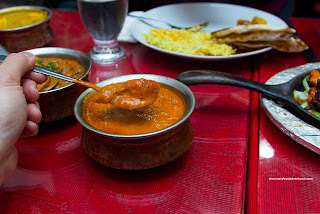 Onto the mains, we had the usual Butter Chicken which was noticeably creamy and rich, but a bit too sweet. We would've preferred more tomato paste (they might've used fresh tomatoes though) to give it more balance and tang. With that being said, this was still good with big chunks of tender chicken. 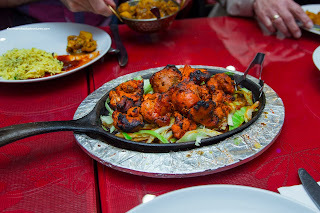 The sauce was less sweet when eaten with rice and the garlic naan. 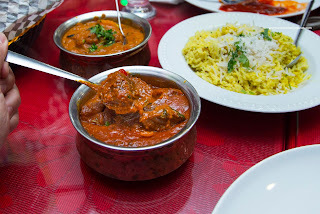 For me, I loved the rich onion and coriander flavour of the Lamb Rogen Josh. There was a definitely spiciness that went with the actual spices. The tang of the tomato and the sharpness of the ginger really made the flavours sing. Unfortunately, the chunks of lamb were rather dry. 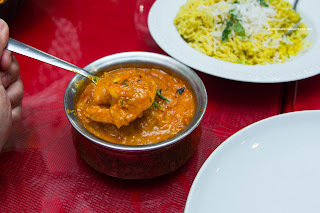 Universally, we loved the Prawn Curry as the sweetness of the onions really came through. This was balanced off by a mild spice level as well as the sweet and seafoody essence of the prawns. 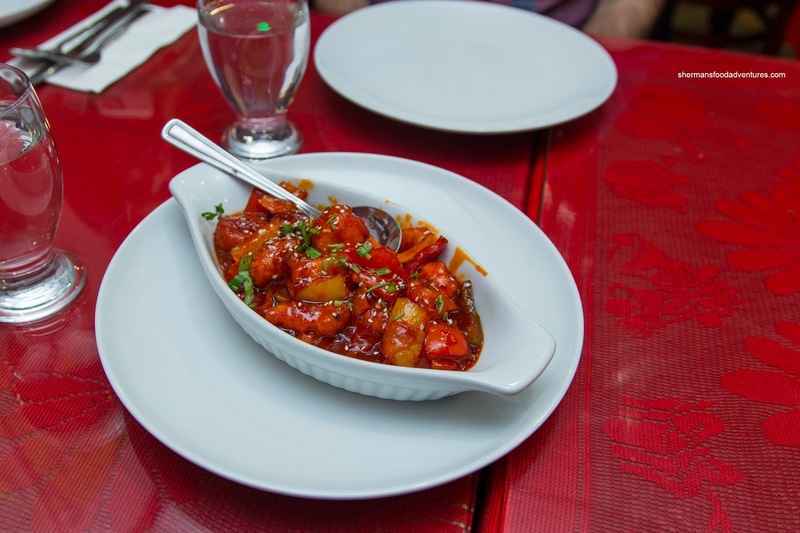 The prawns themselves were cooked just right where there was a meaty snap and a wealth of natural flavour. Sizzling and smoky, the Chicken Tikka was a real hit. The pieces of chicken were all tender and nicely charred on the outside. We could taste the tang from the yogurt as well as all of the spice rub. This was our favourite dish of the night. Off to some vegetarian items, we had the Muttar Paneer which was impactful and tasty despite the lack of meat. 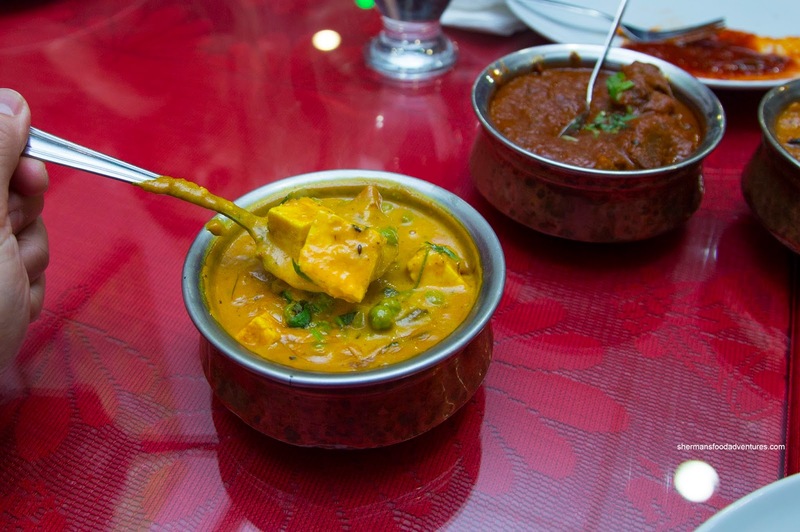 There was a sweetness to the curry that was further accentuated by the pop from the sweet peas. Despite the sweetness, the rest of the savoury elements as well as the noticeable flavour from the cumin brought balance to the dish. The nuggets of paneer were on point being soft yet not too much so. 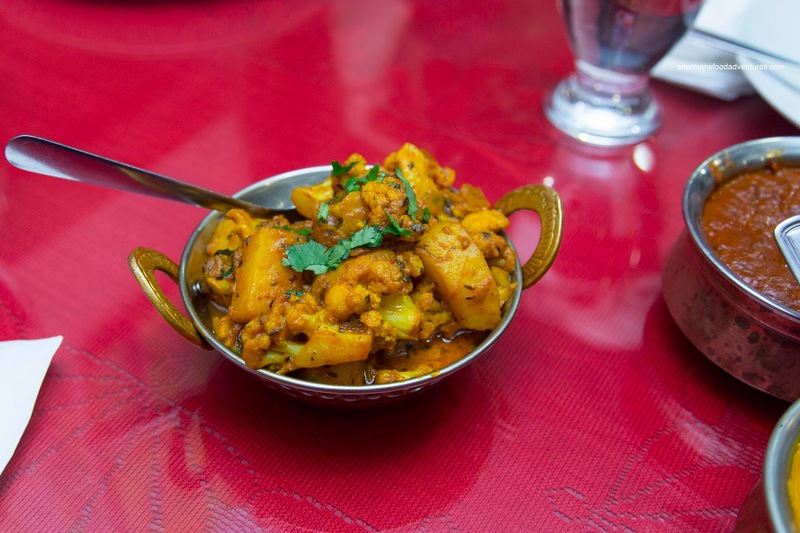 Aromatic and fragrant, the Aloo Gobi featured tender cauliflower that was not overdone while the potatoes were a bit underdone. The onion and ginger really came through with a sweet sharpness. 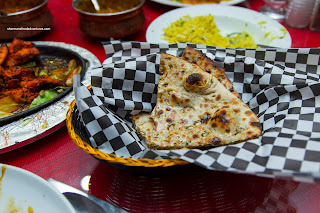 In addition to some fragrant and a bit wet coconut rice, we also had the usual Garlic Naan and also the Stuffed Naan (with spinach, onions and cheese). 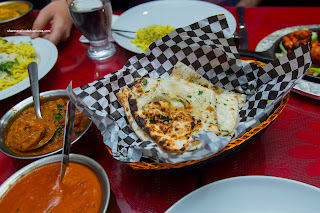 Nicely charred and slightly crispy, the naan was soft and appealingly chewy on the inside. 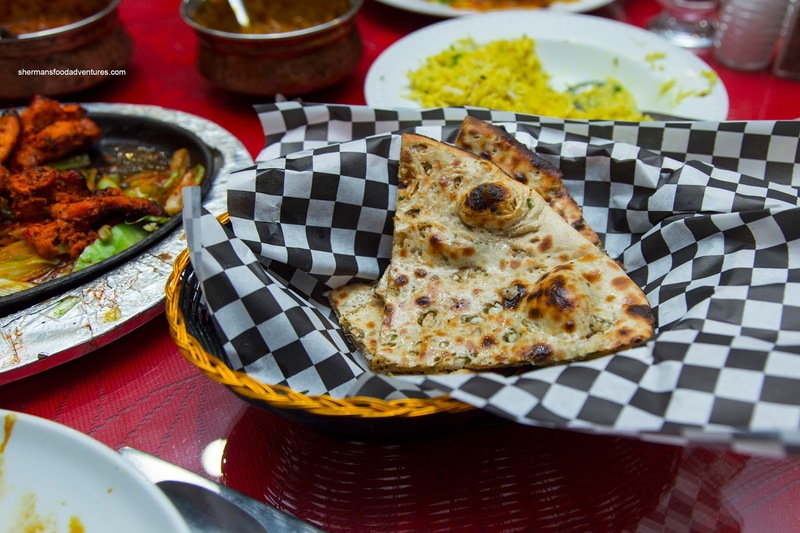 Predictably with more moisture, the stuffed naan tasted quite good, but it was too wet. It had a spongy quality to it. As a whole, the meal was actually quite good. Sure, some dishes could've been better, but considering the price point, the food was fairly tasty. Service was a bit sparse due to it being a family-run restaurant, but it was kind and gracious. Not bad for White Rock.